The sedate rural coastal village of Pagudpud Ilocos Norte is located on the most Northern tip of the main island of Luzon, and lies about 45 miles from Laoag City, the capital of Ilocos Norte. It is 350 miles north of Manila, so you can drive, catch a bus or take a flight to Laoag City and then a bus or private transport. The village is located to the north of Bangui and its windmills, and inland lies the massive Cordillera Mountain Range, the largest in the Philippines. Over the other side of the range lies the province of Cagayan. To the North and the West are the warm waters of the South China Sea. 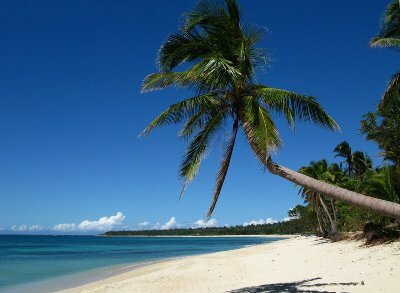 The pure white sands of Saud Beach are at Pagudpud and it’s often called the Boracay of the North! We say it is Boracay as it once was! And that’s why it’s so popular. Boracay as it was 25 years ago! WHAT IS SPECIAL ABOUT PAGUDPUD ILOCOS NORTE? 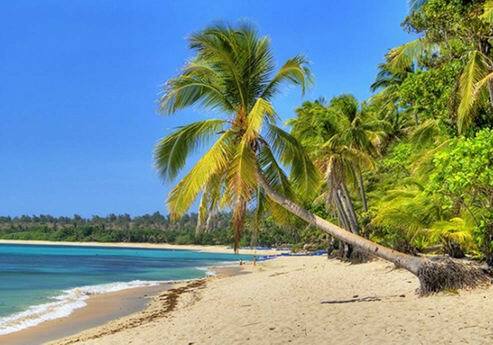 International tourists are now becoming interested in Pagudpud and one of Australia’s most respected and influential international travel writers ranked Saud Beach as Number 1 on the list of the Top Ten best Asian Beaches. The whole local area comprises really beautiful beaches, spectacular waterfalls, stunning scenic vistas, and a real genuine get away from the rat race feeling. It is no wonder that movies and television commercials are filmed here. 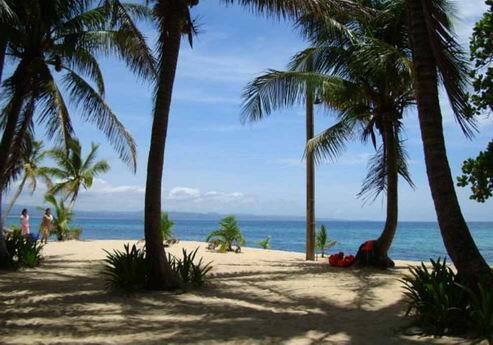 Pagudpud is situated amongst verdant green mountains, rich valleys, rolling hills and flat coastal plains. The 20,000 people who live in Pagudpud and the surrounding area subsist on rice farming (we have three rice fields ourselves), general farming, fishing (the fresh fish and lobsters are delicious and cheap here) and more recently tourism. Our well known and TripAdvisor award winning boutique hotel and restaurant is right near Saud Beach. The best part about Pagudpud is the wonderful people, get true Ilocano hospitality and friendliness, not only the best beach in Asia but the friendliest place in Asia. Tourists are now awakening to the idea of a vacation in a magnificent picture postcard location of un-commercialized pure white sand beaches, overhanging coconut palms and the crystal clear blue waters. Nearby Maira-Ira Point is gaining a reputation for its secluded Blue Lagoon Beach. On the northern side of the area is the impressive Patapat viaduct. Come see Pagudpud-Ilocos-Norte before everyone else finds out about it. Pagudpud gets a lot of wind, which is why they have the wind farm, but also the area is turning into a great surfing destination as the large swells regularly roll in from the Northern Pacific.